This suite is our largest unit. There are two deluxe double beds in the main room with cable TV, microwave, table and chairs, refrigerator, and wireless internet. 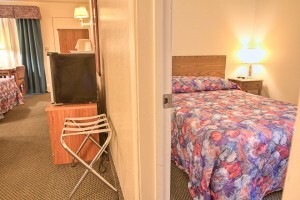 An adjoining room contains an additional double bed with cable TV. Join us in the morning for a wonderful continental breakfast. Enjoy your stay at the Big Sky Motel! 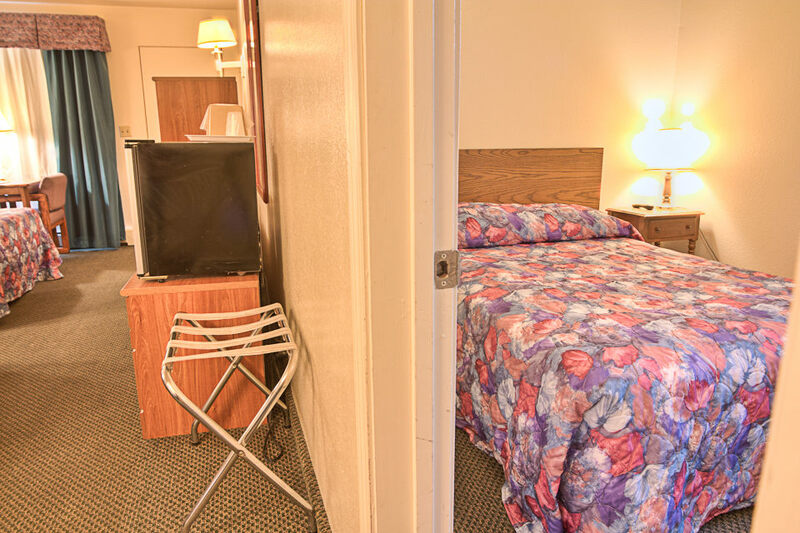 Maximum Occupancy:6 Amenities: free wireless internet, Desk and chair, 2 TVs, Upstairs. and includes toiletries. A hair dryer, iron and ironing board, radio alarm clock are all available upon request. Also, you have free access to fresh brewed coffee, hot chocolate, and tea at our coffee station.